She wears a cape, is the sweetest, and has a kaleidoscope of abilities, and she is no one other than our bouquet – Strong and Sweet. The name suggests how sweetly it’s adorned with an array of flowers. 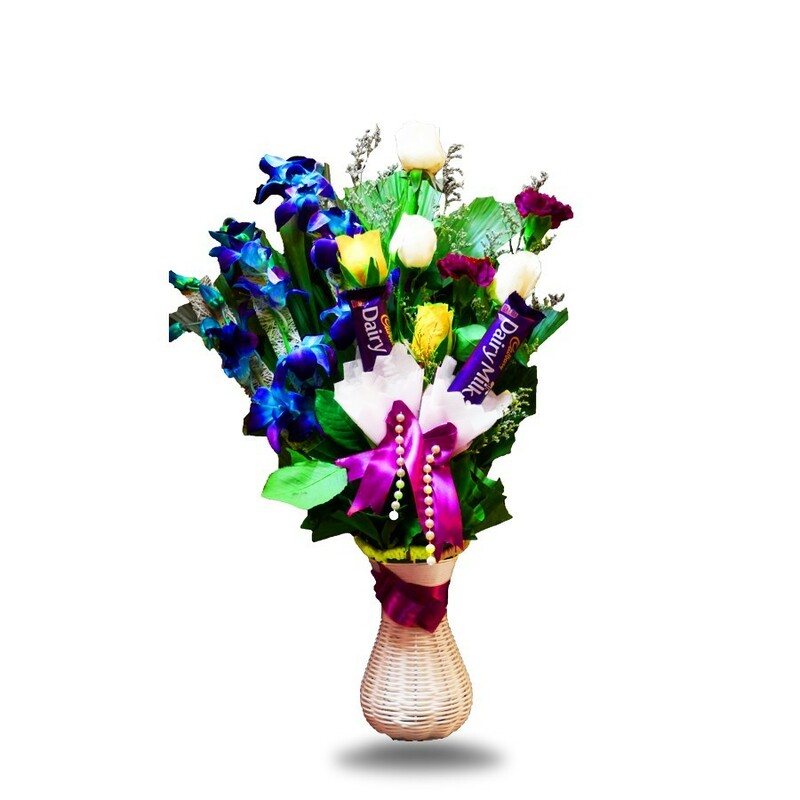 This strong bouquet contains blue orchids, angelic white and yellow roses with violet carnations with fresh-greens fanning out behind the flowers like a cape of a superhero. Also let’s not forget about the white pocket, graced with a purple ribbon and pearls, containing the two sweet Dairy Milks, she has to offer! 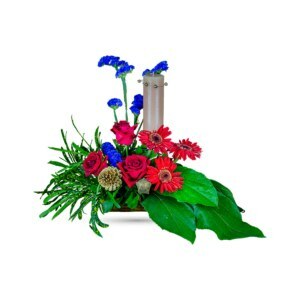 This bouquet creates a wonderful expression strength and love. 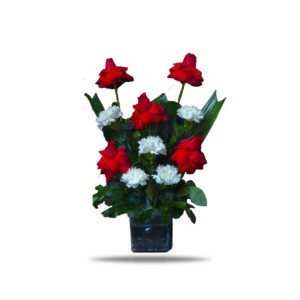 When words are not simply enough to show how much you appreciate them, send our bouquet, Strong and Sweet, to them. 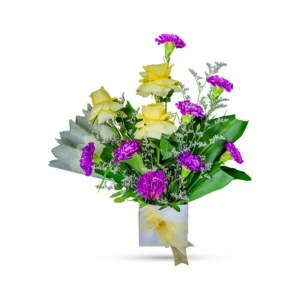 Order this on any occasion such as: Women’s Day, Birthdays or just to surprise your inspiring colleague! 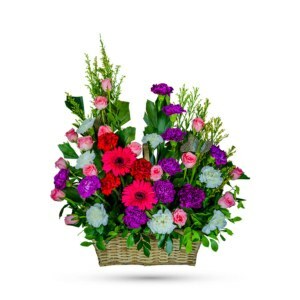 Send them this beautiful and blooming freshness at their doorstep and show what a superhero they are!